The Volcanic Trails is a trekking tour combining two distinct sections. The trail runs form east to west along the Fjallabak Nature reserve in the south Iceland Highlands. This is part 1. See all your combo tour options here. 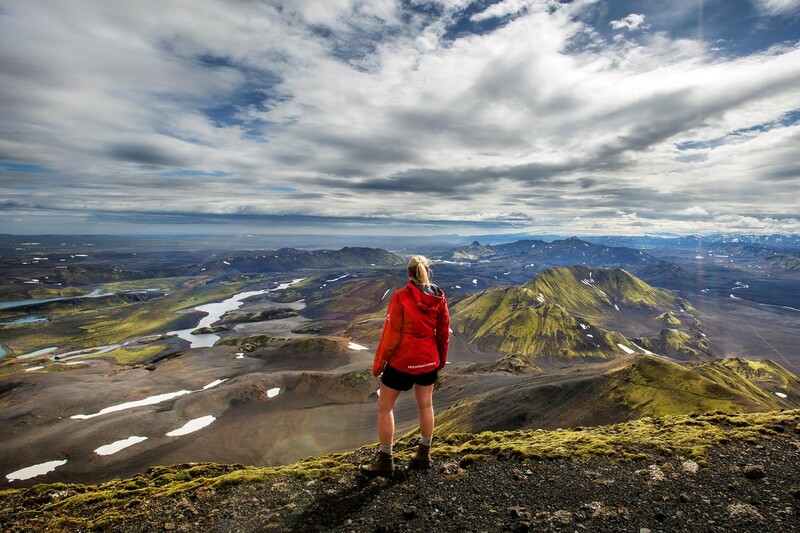 This remote takes you through one of Iceland's most spectacular volcanic regions. Your expert trekking guide will lead you into the Vatnajökull National Park, up to the peak of Sveinstindur mountain with fantastic view on lake Langisjór, the long lake. The trail goes along the great Skaftá river through bright green moss covered lava formations, impressive waterfalls, canyons and amazing craters, to the Eldgjá, a volcanic fissure created in one of the greatest eruptions in historical times. The journey continues through the contrasts of black sands and green moss of Mælifellsandur desert. Hiking through this dramatic landscape you will feel the greatness of the land as well as the immense solitude. In the evenings you will enjoy the company of your friendly and knowledgeable guide and your small group in the tiny cozy mountain huts along the trail. The perfect trek for those looking to venture off the beaten track! See video from the Volcanic Trails part 1.